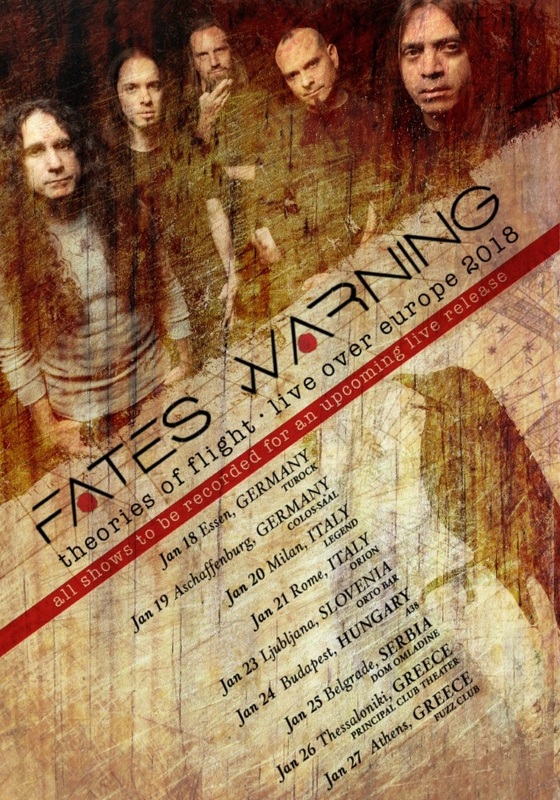 U.S. progressive metal pioneers FATES WARNING will play a string of dates in Europe and in the USA/Mexico next month in support of their much-acclaimed latest album, “Theories Of Flight”. All of the upcoming European shows will be recorded for a live release to be mixed by Jens Bogren, who last worked with FATES WARNING on the band’s “Theories Of Flight” studio album. “Theories Of Flight” was released in July 2016 via InsideOut Music. The cover artwork for the CD was created by Michigan artist Graceann Warn. Performed by the FATES WARNING lineup that returned to form with 2013’s acclaimed “Darkness In A Different Light” release, “Theories Of Flight” was produced by guitarist Jim Matheos and mixed/mastered by Jens Bogren at Fascination Street Studios (OPETH, SYMPHONY X).